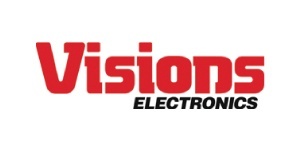 Visions Electronics is proud to offer all Jencor clients their preferred client member pricing for all their electronic purchases. This program will offer you special pricing on all electronic goods purchased at any one of their 29 locations across Western Canada. Visit any of their locations and ask for the manager on duty and mention that you are a member of the Jencor Preferred Partner Program. You will be required to present your Jencor Preferred Partners Card. Savings are 5% above cost on Home Video and Audio, 10% above cost on accessories.